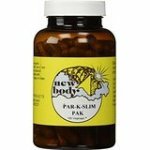 What is Par-K-Slim Herbal Weightloss? 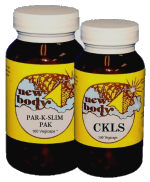 Why Use the CKLS / Par-K-Slim Combo to Lose Weight? 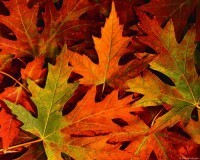 The first day of Fall has come and gone and in most places it is actually beginning to feel and look like fall. What better time to do a CKLS cleanse than now?? Most of us tend to avoid limitations on consumption of food and drink during the summer months, so now is a great time to cleanse all of those toxins out of our system. The first step in starting a cleanse is to figure out your “first day”. The “first day” of the CKLS cleanse is the most restrictive day because no food is consumed. It is always good if you can plan the first day of your cleanse or detox at the end of a 2-3 days period where you have gradually reduced your food consumption so a day of suddenly eating nothing is not such a shock to you psychologically and physically. I will not make any suggestions on what specifically should be consumed prior to the cleanse. Just know that after the cleanse you should be ready to adhere to a menu of primarily fruit and vegetables. If you reside close to a supermarket or farmer’s market, it may not be necessary to purchase all of your produce at one time. The fresher, the better. Finally, I plan to begin my Fall CKLS Cleanse on Wednesday, October 23, 2013, and I welcome you to, not only follow me, but join me during my Fall CKLS Cleanse! I also welcome your suggestions, comments and experiences. REMINDER!! Always consult your physician before taking CKLS and before starting a detox regime or cleanse.